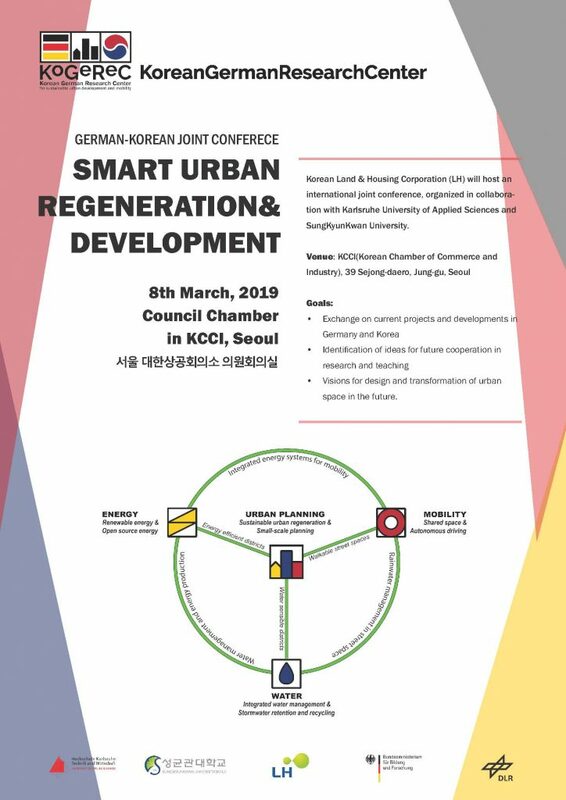 Korean Land & Housing Corporation (LH) will host an international joint conference, organized in collaboration with Karlsruhe University of Applied Sciences and SungKyunKwan University. Please get Program and session plan from an attached file. • Visions for design and transformation of urban space in the future. 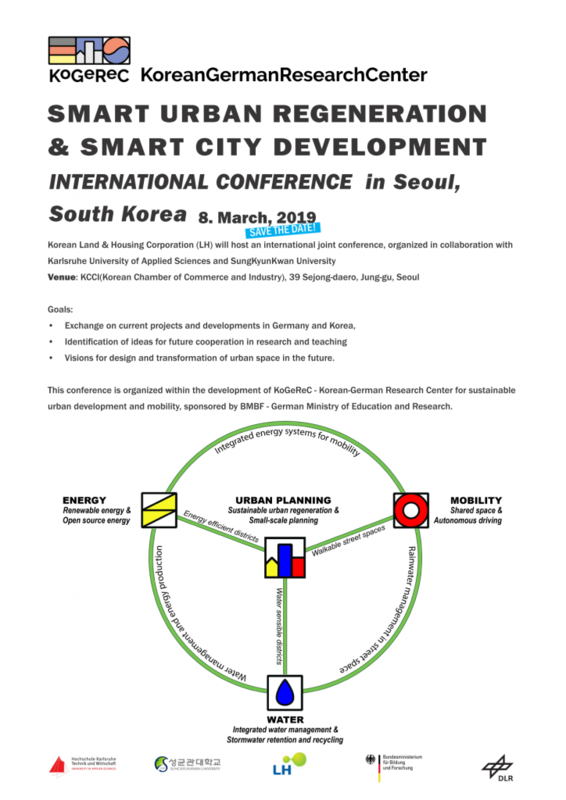 Karlsruhe University of Applied Sciences and Land & Housing corporation, which is the biggest public housing development company in South Korea will hold an international joint conference about „Urban regeneration“ in relation to mobility, energy and climate adaption in March, 2019 in South Korea. This conference takes place of within the framework of the „KoGeReC“ project, which develops a Korean-German Research Center, sponsored by BMBF.